Wouldn’t it be great to have clean and gleaming silverware on your beautifully set table with perfectly shaped linen napkins and flowers ? You don’t want tarnished cutlery to create a major dark spot to your special occasion. 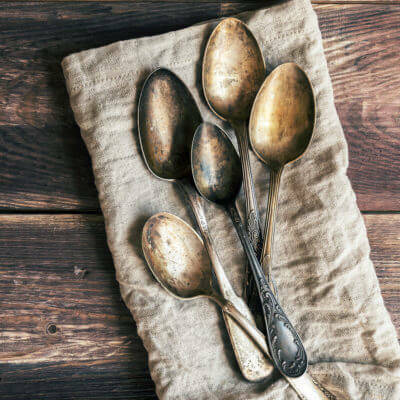 We have researched some of the best home remedies to clean and polish silver that are chemical-free. These are the four surprising tricks to tackle even the most severely tarnished silver: Ketchup, toothpaste, banana peels and aluminium foil. 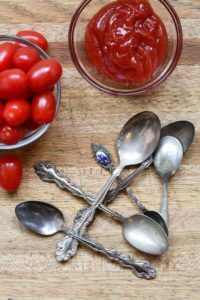 The reason behind using ketchup is the fact that the acid in tomatoes reacts with the oxidization of the tarnished silver. You just need to pour ketchup into a plate and place the silver in it until its fully submerged. The silver can then rest in it for 10 minutes. You can then remove and rinse the silverware with warm water and pat dry it with a rag. 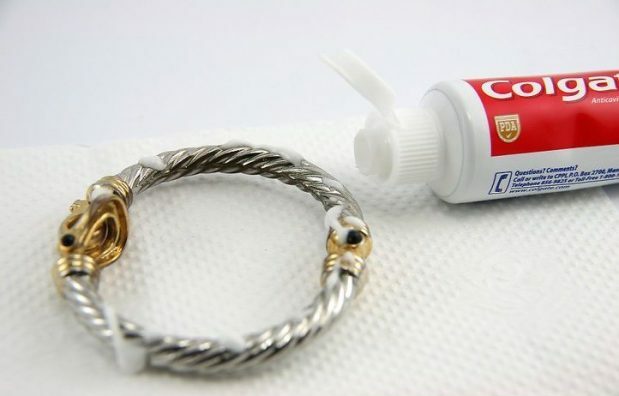 This is undoubtedly one of the most unusual methods to clean silver. Well, it is perhaps no surprise that toothpaste is used to remove tarnish on the silver as can be seen by its capabilities in removing plague from teeth! You require toothpaste that is not gel and a toothbrush for this. You can then apply a spoonful of toothpaste to silverware. 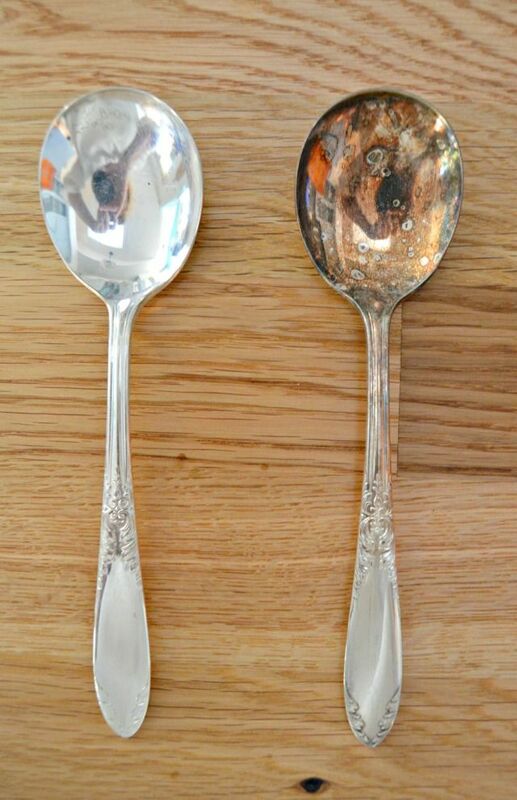 Just add a little water to your brush and scrub the tarnished spots on the silverware. After 2-3 minutes of scrubbing, you can rinse the toothpaste off with water and pat dry the clean silver. Bananas are full of vitamins and nutrients that energize the human body. Who knew they could prove their worth in cleaning tasks too! 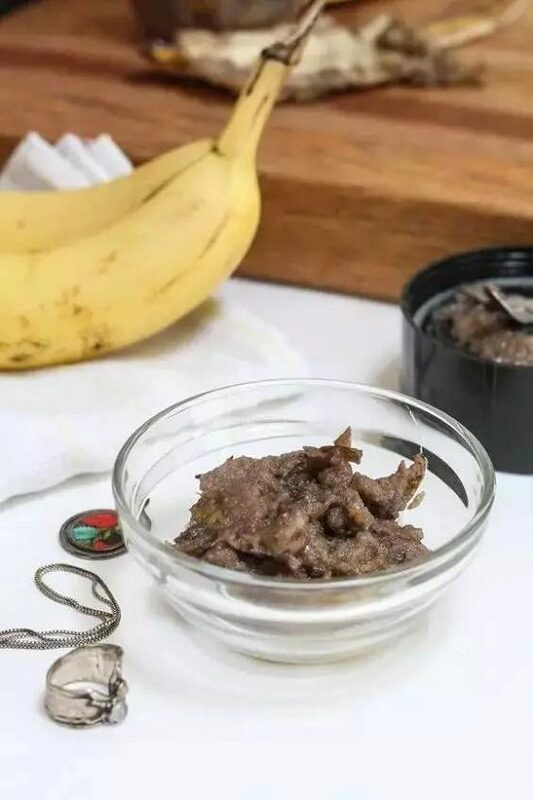 Banana peels are used to clean silver jewelry and small items of silverware due to its intricate pieces, rather than severely tarnished large silver pieces. 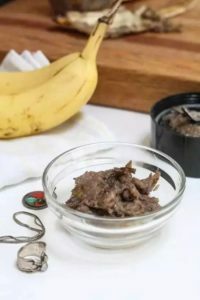 For this, you can peel the banana and blend it with some water to create its paste. You can use a soft toothbrush to scrub around the silver piece with the banana blend. 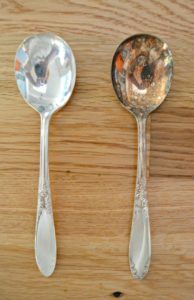 After 2-3minutes of scrubbing, you can then rinse the silver thoroughly with water and pat dry it with a rag or a cloth. 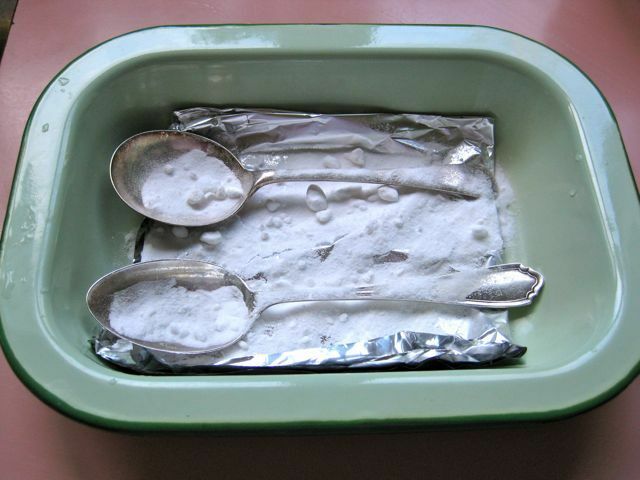 Aluminium foil and baking soda have proven to be the best recipe for making tarnish disappear quickly. This method is magical as you can see the tarnish vanish within fewest minutes. For this, first you need to boil water and then add one tablespoon each of sea salt and baking soda in it. Vinegar has to be added slowly to speed up the process. Then, pour this boiling water into an aluminium foil dish and place your silver in it in a way that each piece of silver is touching the aluminium foil. These pieces should not overlap and this process doesn’t take longer than 30-60 seconds for normal tarnished silver. Alternatively, you would like to keep soaking silver pieces that are heavily tarnished for a longer time, say 2-3 more minutes. After this process, remove the silverware with tongs and scrub the remaining tarnish left on them with a clean rag. You can now witness all-new sparkly silver that seems to have never been tanned! Next story How to clean your oven after a great Easter bake off?